OMG, I Can Eat That?? 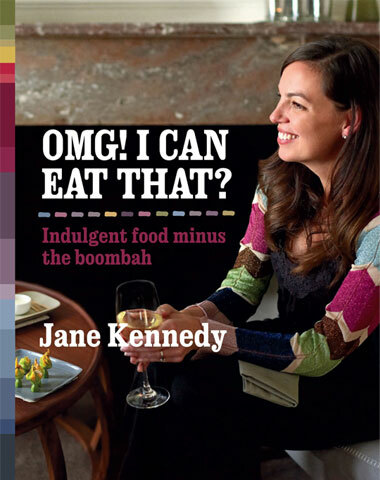 Is the name of this week’s cooking challenge cookbook. Despite it’s crazy name, it’s actually pretty good and really good for my late summer pre-Ireland and US slim down! 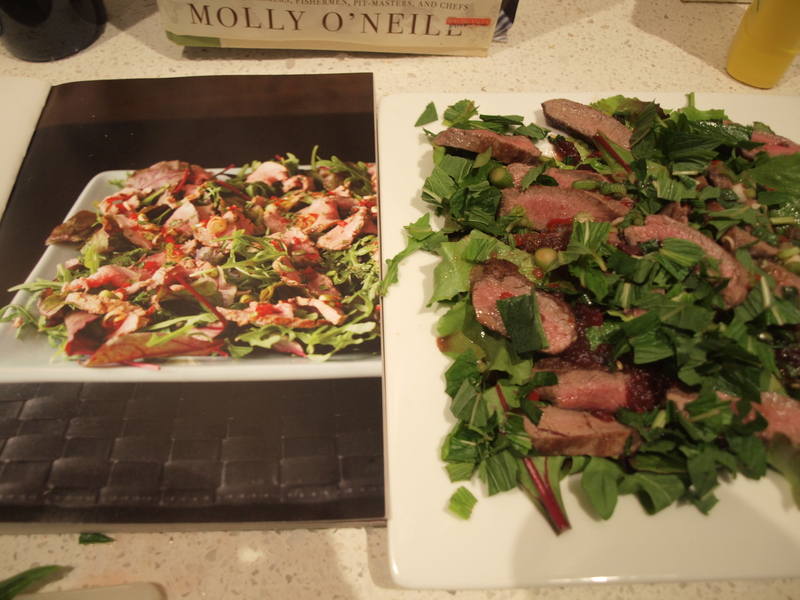 Last week I made Lamb loin dusted with dukkah with parsley and red onion salad with spicy roasted pumpkin. It was really good and probably quite healthy! 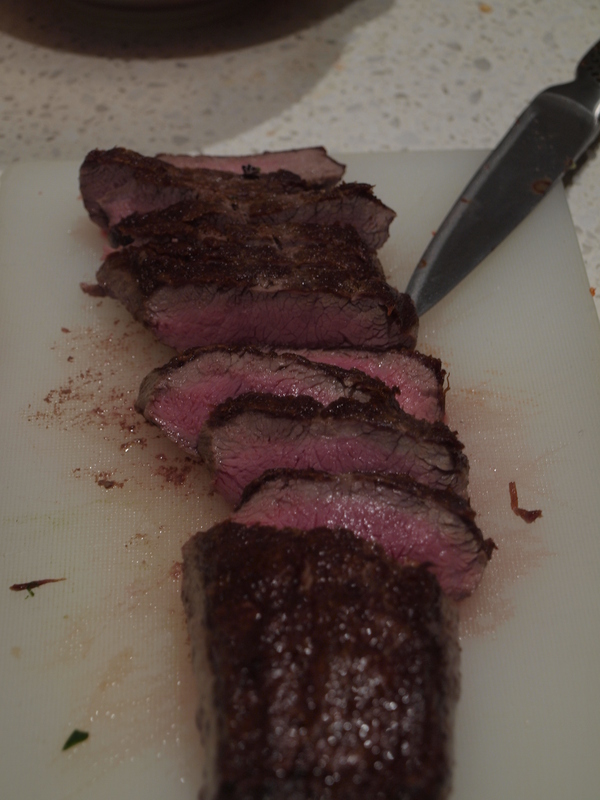 It was also pretty easy to cook and definitely worth doing again. So this week’s challenge should be pretty good! For this week’s Sunday Dinner, I’m making Chicken, Leek, and Mushroom Piemakins. Jane Kennedy calls them a cross between a ramekin and a pie, hence the name piemakin. My big hope is that Ramekins I have will be big enough to actually be adult sized servings…..hmmmmm….. might need to think about some good dessert options just in case my guests are still hungry! So here we are once again and this week we’re doing two recipes for the challenge- Parma Wrapped Lamb with Savoy Cabbage AND Tracy Salad. 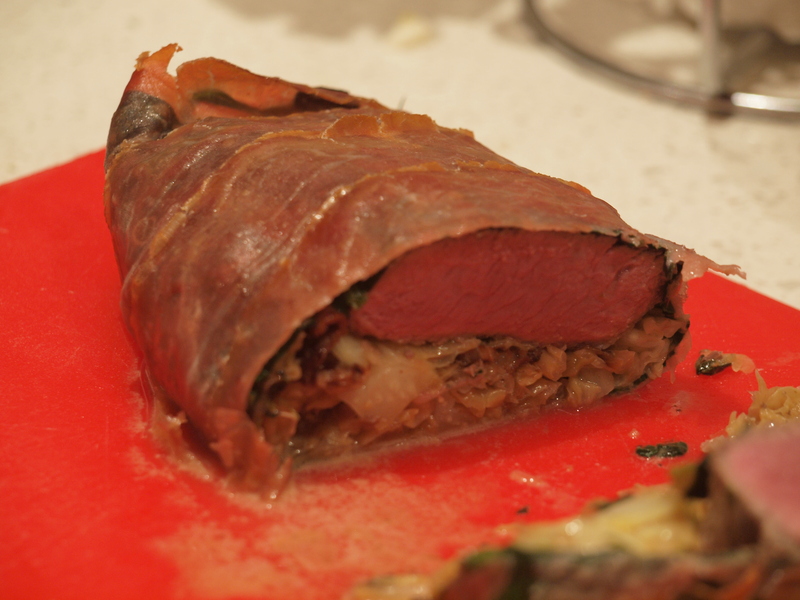 Both seem pretty straightforward, although I have to be honest, the lamb is starting to scare me a bit… it’s basically sautéed cabbage and cream with spinach shoved between two lamb backstraps and then wrapped in prosciutto. Maybe it’s not that it’s scaring me, maybe I’m just remembering that cabbage is not my favourite food, oh well! Let’s just dive in and hope for the best! Lardon is a small strip or cube of pork fat (usually subcutaneous fat) used in a wide variety of cuisines to flavor savory foods and salads. In French cuisine, lardons are also used for larding, by threading them with a needle into meats that are to be braised or roasted. Lardons are not normally smoked, and they are made from pork that has been cured with salt. 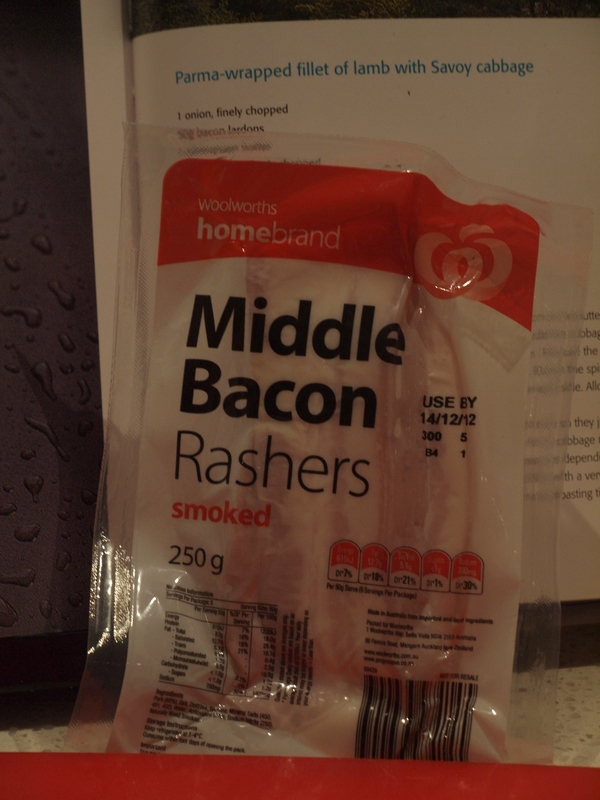 I hope I can make Bacon Lardons from this! Well, not quite what I was expecting but hopefully we can make it work!! First things first, onion in the freezer. 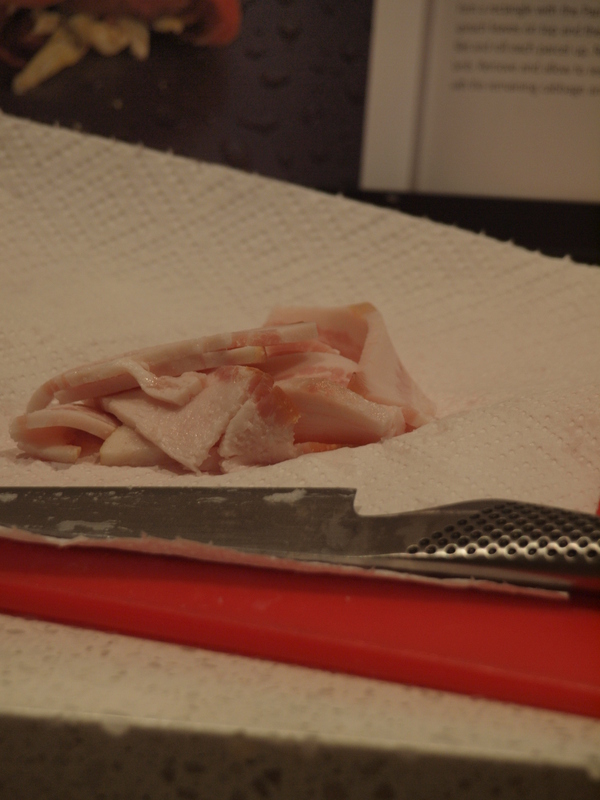 Then I get to work chopping the lardon and rind off the bacon. 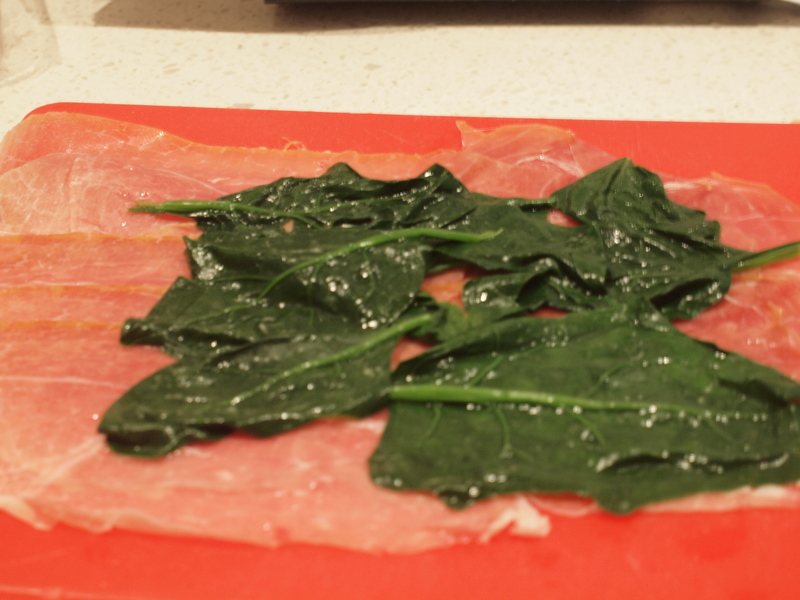 I chop the onion and then throw it in a pan with the lardons and 1 tbs of butter…..yoinks…. frying bacon fat and butter??? Well, there goes the diet this week! That cooks for about 6 minutes before it starts to look a bit burny, it’s supposed to cook for 10 before I throw in 5 cloves of finely chopped garlic….yup, 5 cloves…. Maybe there’s a Vampire problem in Ireland. Anyway, that cooks then I throw in ¾ of a head of savoy cabbage chopped or sliced or cut really, it’s supposed to be a full head but I don’t like cabbage, plus 300ml of double cream and about 100ml of milk, although I guess with the diminished cabbage, it probably would have been enough cream, oh well! Then that cooks with 2tbs of fresh thyme for ten minutes. I covered it with tin foil because I don’t have a top for my skillet. I know I’m on the right track when The Runner walks through the kitchen twice and tells me it smells good! 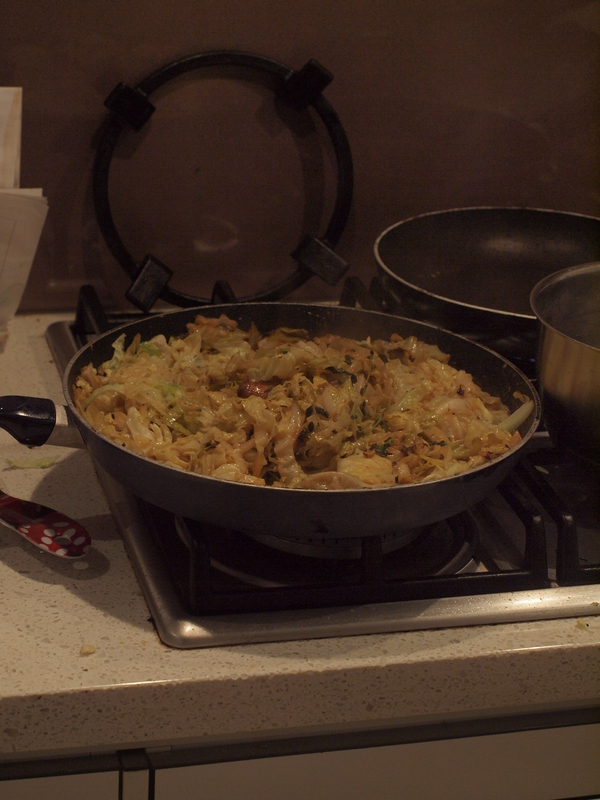 In progress- we’re cooking cabbage! I put water on to boil to blanch 16 spinach leaves and then I wait….the cabbage as it turns out could use an extra few minutes of cooking which isn’t a bad thing. I put a pan on the stove to heat up so I can sear the two lamb backstraps I bought in time for them to cool. I also realise at this point that I haven’t READ the Tracy salad recipe yet, so fingers crossed it won’t take too long to read and prepare. It’s 6:15, and I’ve promised to have dinner on the table for 7:30, I’m not under the pump…..yet….unless the Tracy Salad is my undoing. I’ve also grown multiple hands as I dash back and forth between the blanching spinach, searing lamb and reducing sauce. Luckily nothing has gone awry….yet! 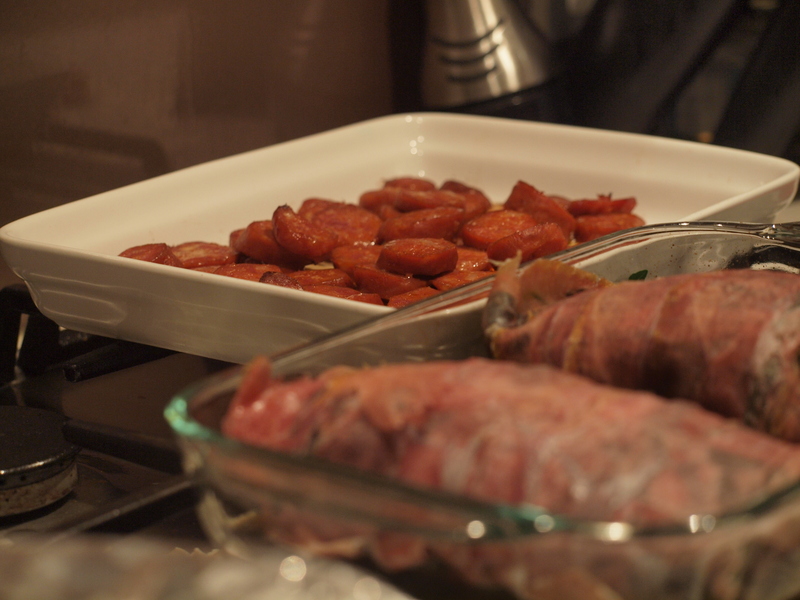 So I slice 3 chorizo and put them into the oven for 20 minutes to dry roast at 180 degrees. 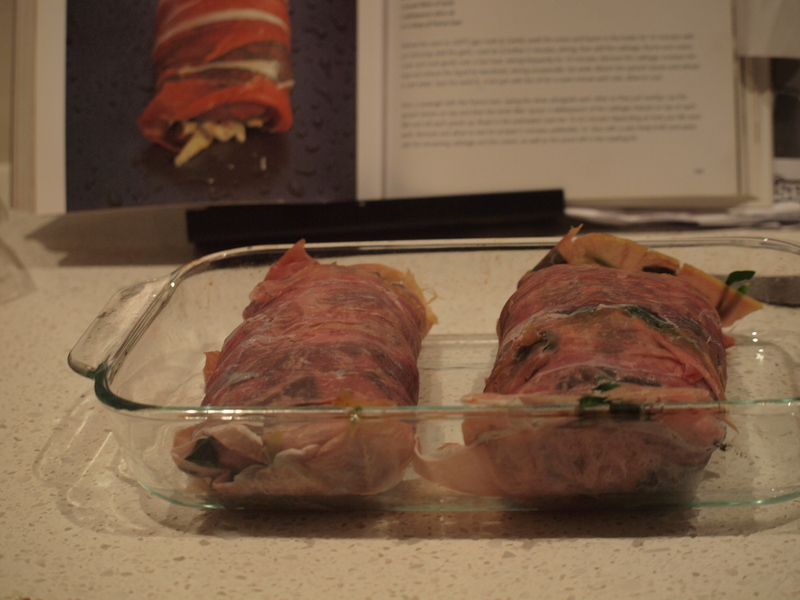 At this point, I decide to put together the lamb first so it’s all ready for the oven… it’s surprisingly easy to do; it’s just laying out the prosciutto, covering that with spinach, then lamb and 3 tablespoons of cabbage mix and then roll it up!!! The potatoes are easy as well, and really the Tracy Salad is super straight forward to make. Toss the potatoes with olive oil and balsamic, then chuck in some rocket, semi sun dried tomatoes and cubed feta. Too Easy! My two little lambs ready for the oven! That’s vaguely like the photo! We had Scribbles and Cut over dinner to enjoy it with us- and both Cut and The Runner had second helpings of everything! Dinner is served- it all came together in the end! Luckily, this time The Runner has leftovers for his lunch tomorrow—always a bonus! I have to say, I really like this cookbook- other than a few fancy terms, like lardon, it was really easy to make and pretty straightforward instructions. Whilst I’m not personally a cabbage girl, it was actually really tasty. I’ve made things out of this book before and I definitely will again! We’re taking next week off for the cooking event of the year, Thanksgiving- I’ll be writing more about that later. 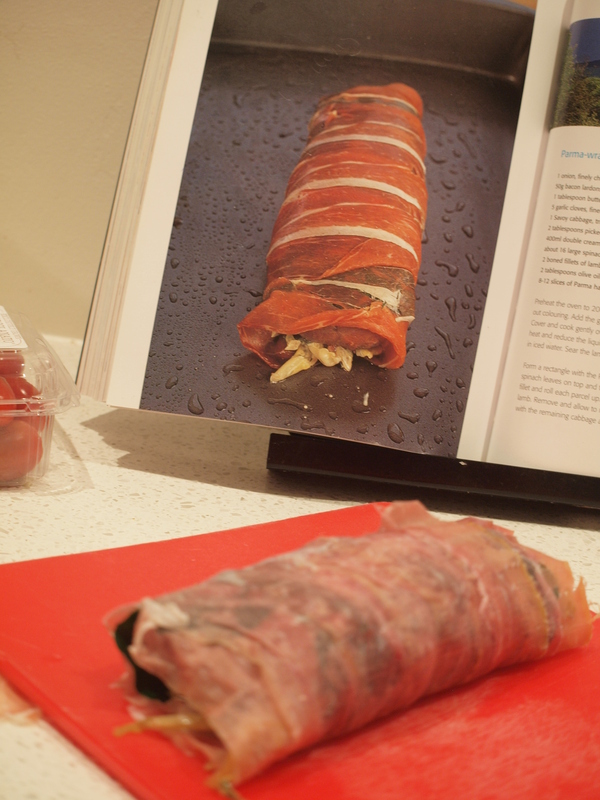 For our next culinary adventure in two weeks’ time, The Runner picked Bill’s Everyday Asian by Bill Granger. PS- I LOVE Bill Granger and I have all of his books so I’m excited for the next challenge—especially since I’ve never cooked anything out of this book! 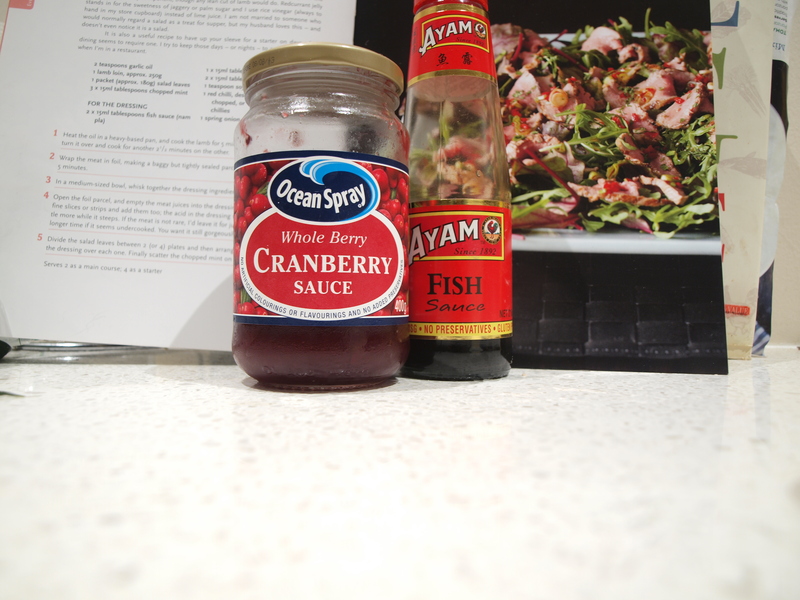 The dish for the next challenge is…. At the start of this, I asked a few friends for random numbers and we wound up with 7, 33, 69, 87, 101– which is great, until you factor in how cookbooks are written. Most of them are organised by course and progress from starter to main to dessert the further you get into the book. Some books have pages and pages of introduction- it could be on anything from How to cook to what the author’s philosophy on food is to any sort of waffle (not the tasty breakfast food). So really, the numbers we started with aren’t going to work so well. P.7 in Avoca is the Introduction- it tells you all about the cafe and the ideology behind fresh, not complicated food– I can’t really serve Ideology to the next group of diners- although the US Presidential Candidates are shoving it down everyone’s throats. p.69- Pancakes– thin and buttermilk! Hmmmm- not a lot to choose from- especially since I hate fish, olives, and hard boiled eggs (sorry nicoise!) So perhaps we’ll improvise…. I asked the dinner guests for more numbers and they came up with 27, 47, 77, and 185. A spiced tomato and kidney bean soup with avocado relish, a picture of pulses, a Breakfast butter bean salad and a Parma wrapped fillet of lamb fillet of lamb with savoy cabbage. SO, for the next dinner on the 11th of November, we’ll be having Tracy salad and Parma-wrapped fillet of lamb with savoy cabbage– and if I’m feeling really enthusiastic, I’ll even make the Tomato and kidney bean soup to start!!! Consider this your invitation, let me know if you can make it….and feel free to bring a Tracy! This recipe seems pretty straight forward to be honest. There are no super crazy ingredients and most of the ingredients were already in my pantry. 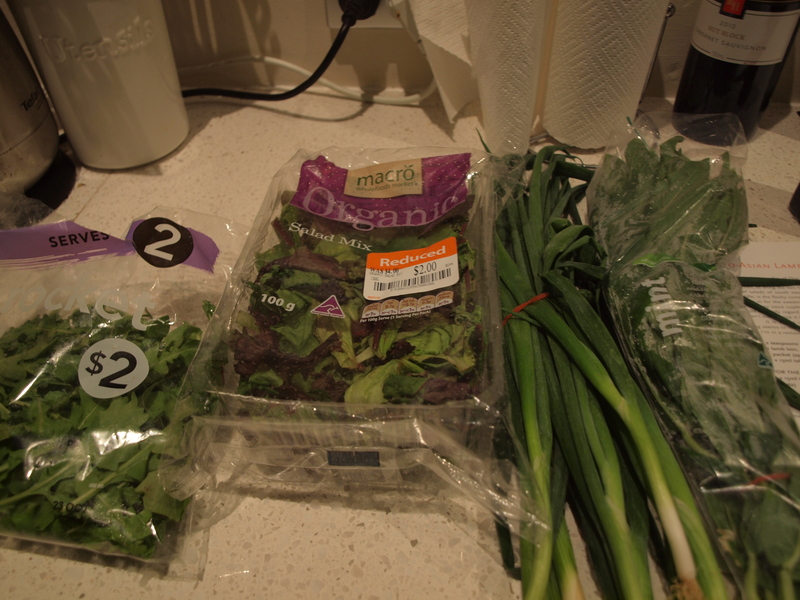 I bought the lamb, salad leaves, mint and spring onion this morning thanks to Coogee Woolworths and the local Coogee butcher. 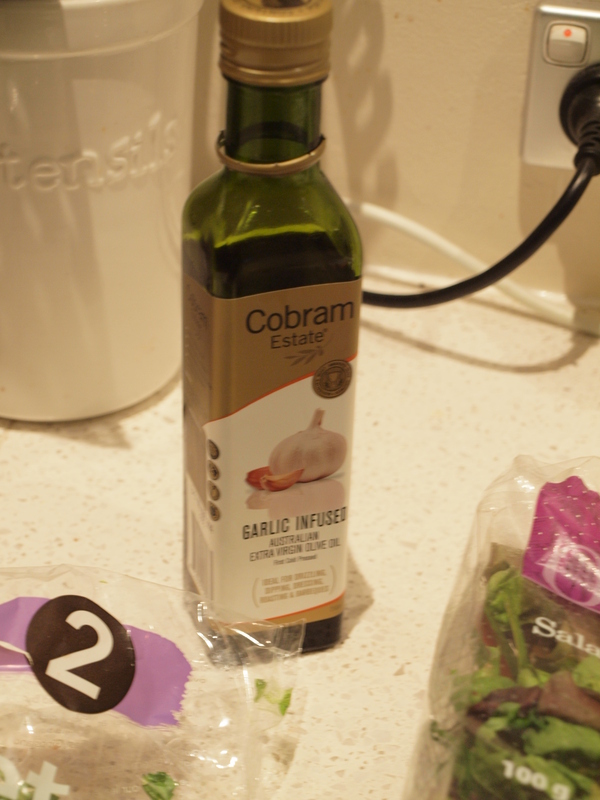 So the first thing I do is ignore my Naturopath’s well meaning advice to not cook with olive oil, and follow Nigella’s first step and heat 2 tsp of Garlic olive oil in a pan. 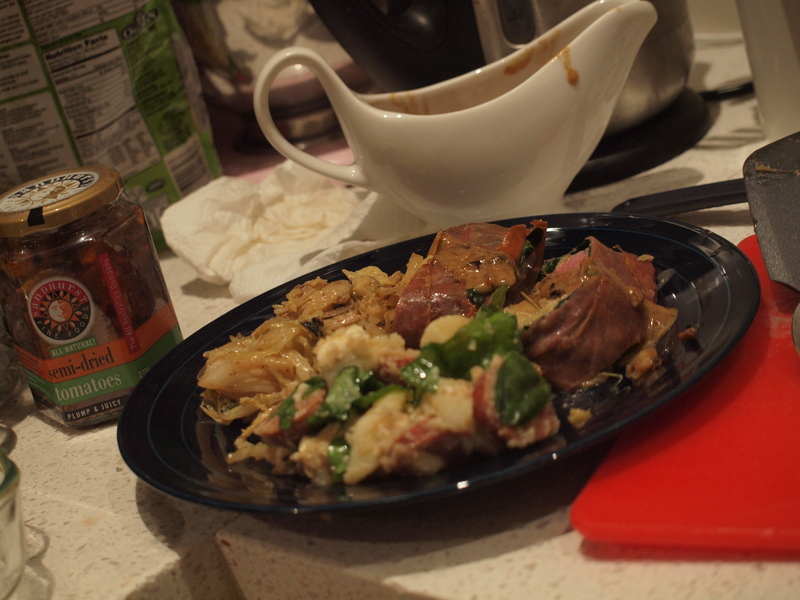 I add the lamb, and turn on the extractor fan…. our apartment has the world’s most sensitive smoke alarm. The lamb cooks for about 5 minutes on the first side and the 2 1/2 minutes on the other side. 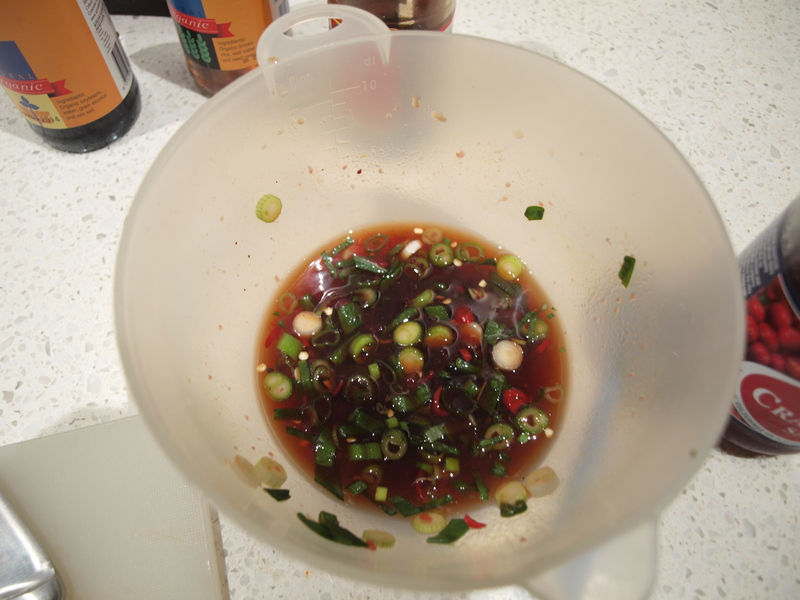 While the lamb is cooking, I whip together the fish sauce, red currant jelly cranberry sauce, brown rice vinegar, soy sauce tamari (it’s a gluten free substitute for soy sauce), and one red chili which Nigella says to de-seed but I just chop and throw in…. (I like a bit of kick!). The lamb goes into a little foil sleeping bag to rest for 5 minutes and then I slice the lamb and mix it in with the salad dressing. Finally, I put the salad leaves on a plate, chop up some mint leaves and pour the mixed lamb and salad dressing over the leaves and voila! Dinner is served!!! I warmed up roasted leftover sweet potatoes as a side dish and that was it! The Runner said it was “tasty” but was a bit disappointed that the portion size was more of a starter or a light lunch than dinner for a hungry hungry man. 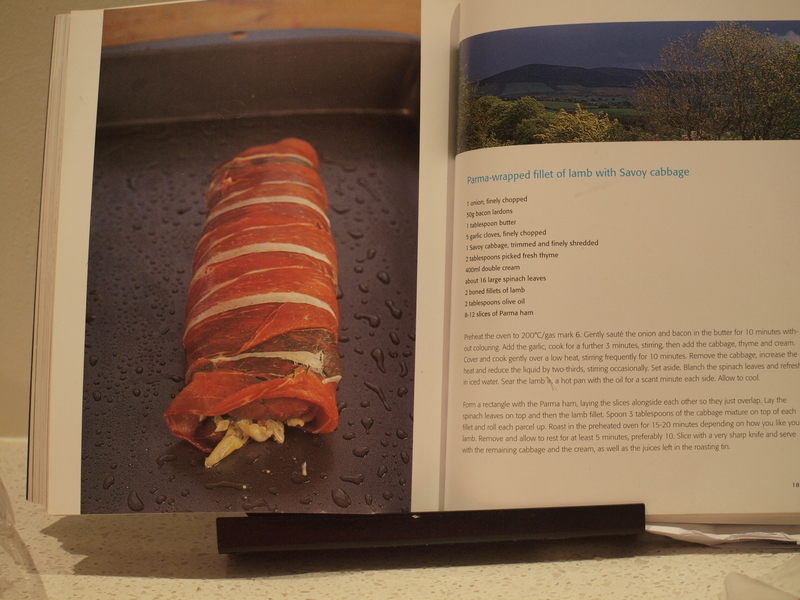 It was a pretty easy recipe- great for a weeknight dinner but it was a bit unexciting. 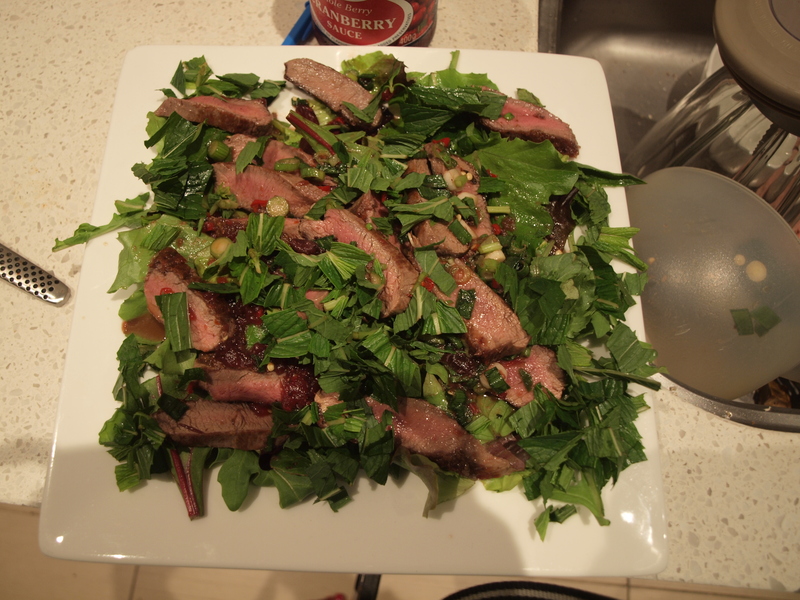 I mean it really is just lamb salad with an Asian-y dressing. If I were to make it again, I’d throw in some feta cheese and sweet potato mixed through it to give it a bit more oomph! A good first one to tackle! Stay tuned for next week’s challenge! Well, we’ve been live for an hour and already we have a name change…. Nigella’s Revenge is now, He Runs I cook. Why you might ask?? Well, The Boy is currently training for yet another triathlon, which means 1, long hours of training, and 2, a very hungry Boy. We both have very separate hobbies- he swims, bikes, and runs and I cook, bake, buy cookbooks, and occasionally pole dance. So there you have it, He Runs, I cook. 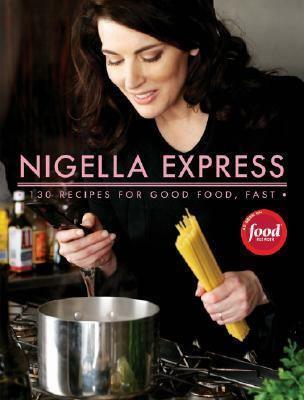 To kick things off this week, and in honor of Nigella, the First Randomly chosen book will be Nigella Express! Lucky Number Slevin– in honor of the Slevin’s birthday on the weekend, we’re going to go with Number 7! 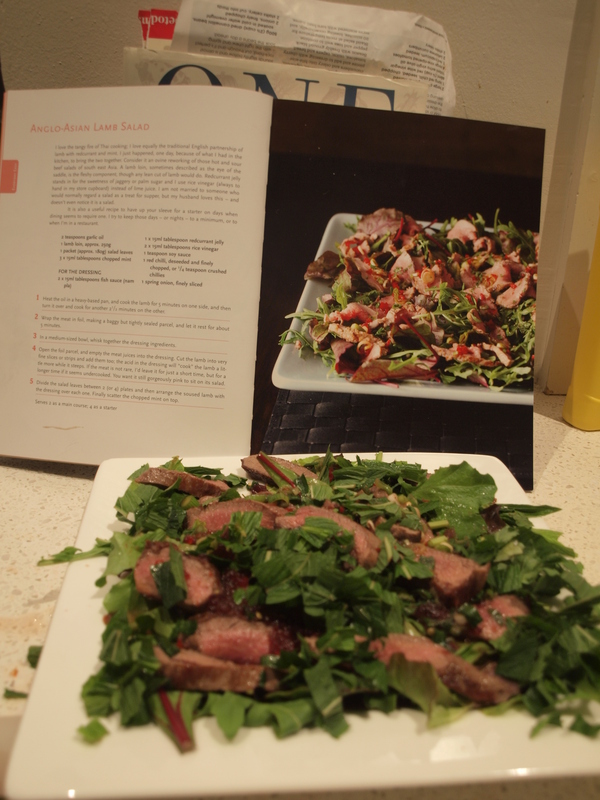 Anglo Asian Lamb Salad…..